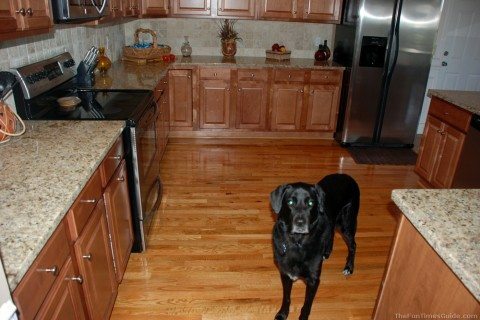 Nothing looks classier in a kitchen than a nice shiny granite countertop. Granite is definitely a look that catches everyone’s eye when they visit a home. According to HGTV, selling a house in today’s market without granite countertops would be almost criminal. What many people fail to realize is that keeping the shiny look of granite in like-new condition will take a bit of effort. Proper care of granite countertops starts right from the first day they’re installed. Before you prepare that first meal in your new kitchen, your new granite countertops need to be sealed. Contact your countertop installer (or a local tile & countertop dealer) first to ensure that you purchase the correct sealer. There are different kinds of stone — each requiring a different kind of sealer. Generally speaking, you should reseal your granite countertops once a year to prevent stains and spills from leeching deeper into the granite. When a spill does happen — especially with acidic liquids such as wine, soda, juices, or coffee — immediately blot the stain to avoid etching or staining in the granite. Warm water with a soft sponge or cloth and liquid dish soap can be used for daily cleaning. However, over time, this may cause a dull buildup if used excessively. 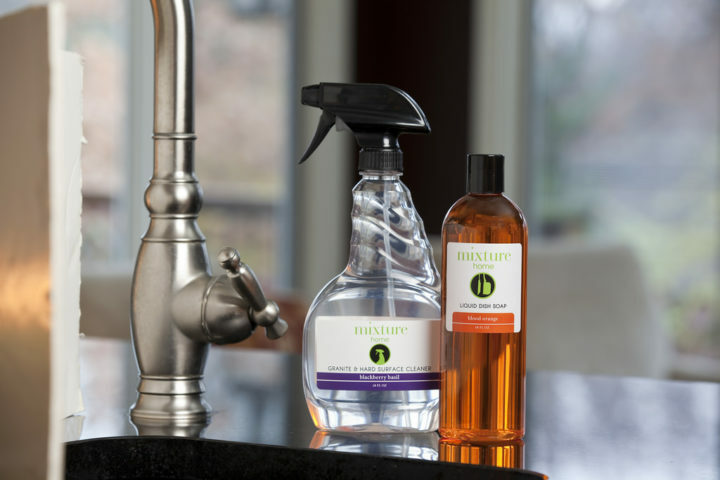 It’s best to use a product made specifically for cleaning granite surfaces instead. Here’s a list of the best granite countertop cleaners. Prevention is the best remedy when it comes to caring for your granite countertops. Always use coasters, cutting boards, and trivets before setting something on top of your granite countertops. And you definitely don’t want to use anything abrasive to clean granite countertops. Never use hard scrubbing agents or cleaning tools — such as scouring powders or steel wool pads. Even plastic scrubbers can sometimes cause damage to granite countertops. In the event you’ve caused a scratch in your granite countertops — even with all of these preventative tips — all is not lost. Most minor scratches can be polished out. Simply using a granite countertop polish occasionally can bring your countertops to like-new condition again. While granite countertops are unquestionably beautiful, some people have raised the issue that radon emissions from granite could possibly be a health threat. This is debatable. There are no clear-cut answers yet. If radon is a concern, your best bet is to have the countertops tested, or request testing before you have a contractor install granite countertops in your home. In the end, granite countertops do require a little extra attention and some special consideration ahead of time. However, with proper care and cleaning, they can last a lifetime while retaining their beauty and adding that extra touch of class to your kitchen. Did You Know You Can Paint Countertops To Look Like Granite?